Armed police swooped on an address in Morley yesterday as part of a National Crime Agency operation. 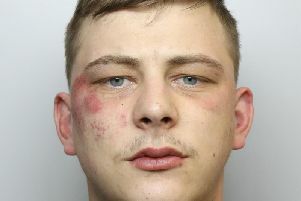 An NCA spokesman said: “West Yorkshire police, acting on behalf of the National Crime Agency, arrested three men in connection with drugs offences in a raid at an address in Morley, Leeds". He said officers from the force had worked to make the scene safe. The drama led to nearby Seven Hills Primary School being placed on lock down for a time. In a statement issued today, the headteacher and governors said: "Due to an operation involving armed police in an adjacent street, Seven Hills Primary School decided to keep pupils on the school site for a short period of time on Monday. "This was to ensure the safety of the children, the adults collecting them, and school staff. The gates were re-opened once police advised the area was safe. We would like to thank parents for their calm co-operation during the incident."